taxi fares, sightseeing and tips. (This could well exceed AUD $4,000). A quote including Quarantine, Dog travel and fee's would be even more cost prohibitive and impractical, hence it was NOT included. 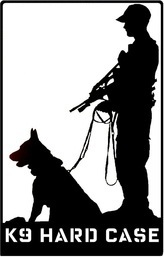 NOTICE: K9 Services International is no longer a partner of this or other events. paid only to this company. Thank you. * Agency bookings require 50% deposit 5-10 days after booking via email/phone. (Final balance required 30 days after booking deposit). * Standard booking payment (in full) must be made after registering/booking online/phone. * A tax invoice will be sent out after payment/registration is confirmed or issued on day one of course package being delivered. * Defence/Govt/CIVPOL Resource Managers can also effect payment via PayPal (add 2% for PAYPAL fee) or through your agencies preferred method (such as purchase orders) in line with the appropriate outlined conditions. Reference: E-Collar Course, *Your name/agency abbreviation*.